Adding rich snippets to your web pages helps it appear differently in SERPs (Search Engine Result Pages) thereby increasing the CTR (Click through rate). If you are writing blogs to pull more traffic on your website, the rich snippets might show you as an author on the SERP itself. In case you are going to organize some event, or you have written a review of some of your product, or you seek users rating on any of your products or services, adding rich snippets is a must for your content. If you are not doing this, you are missing a big chunk of traffic. For example, have a look at the search engine results below. You searched for a movie review and here are the first two results, which one would you prefer to click? The IMDB page has been optimised to display a few information on the result page itself which increases the chances of getting clicked over the other results. This is just an example of rich snippet. You can similarly add rich information regarding products, offers, persons, events, authorship and a lot more. You will need to optimize your page by adding rich snippets aka micro formats aka schema information. Achieving micro formatting in WordPress is easy. As easy as adding a plug-in or few line of short codes, but the result in return is significant. Here are the 5 easy ways to add rich snippets to your WordPress blogs. Adding author information to WordPress posts enables your blog post to appear with authorship information in SERPs. While this improves the CTR, it also helps you brand yourself. You can add the author information manually with a few simple steps. Visit the about section of your Google+ profile and in the contributor section, add your blog. Visit the rich snippet testing tool and test the url to verify the implementation. Schema creator is a WordPress plug-in which comes handy when you are creating a page for a person, product, event, organization, movie, book, review or a recipe. Install this plugin and fill up the necessary information while creating a WordPress post, page or custom posts. That’s it, you are done. If you seek users rating on any of your product or services, you can show up these ratings in SERPs. 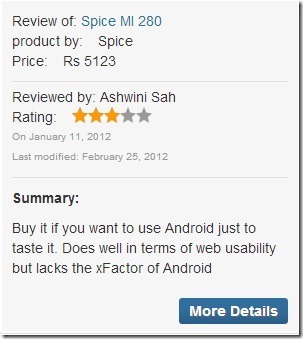 Use GD post rating plugins to gather user ratings and it will automatically add required rich snippets to the page. Here is an example of how results appear on the search pages by using the mentioned plugin. While the GD post rating displays the ratings based on user votes, Author hreview plugin displays the products or services reviewed by an expert. In addition it also displays an information box on the product page itself. 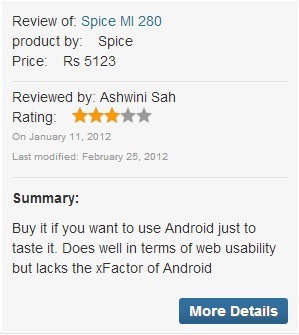 If you keep reviewing products on your blog, this is the plugin to go for. 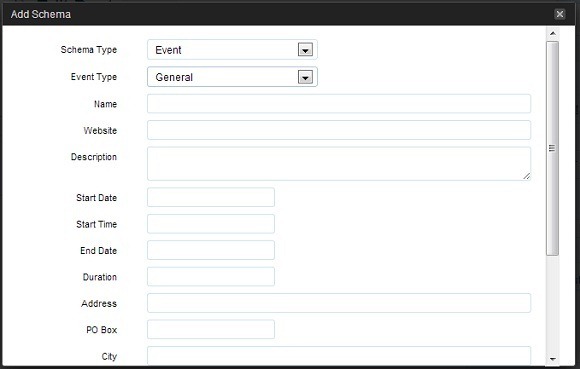 If you are running a website for an organization, use this plugin to display your contact information in rich format. While this will display your contact information in search result, it will also display a map with your location. The telephone and email id will be displayed in link format and could used from the search page itself. If you haven’t already made you blog rich snippet friendly, don’t wait more. Adapt these plug-ins to drive in more focused traffic to your blog. that “Adding author information” was the exact thing i was looking for.